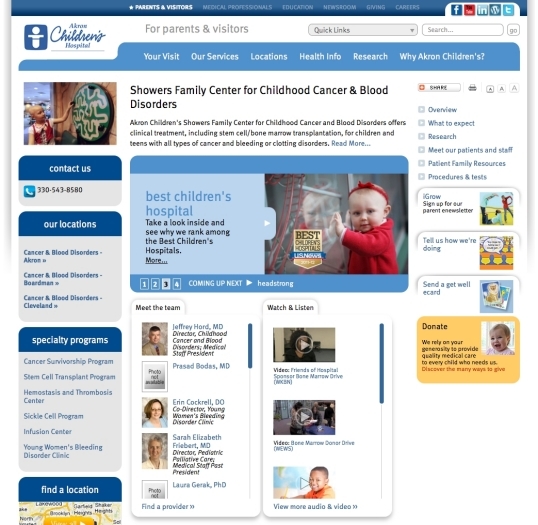 Website for a pediatric hospital in Akron, Ohio : eyemg : web. mobile. social. 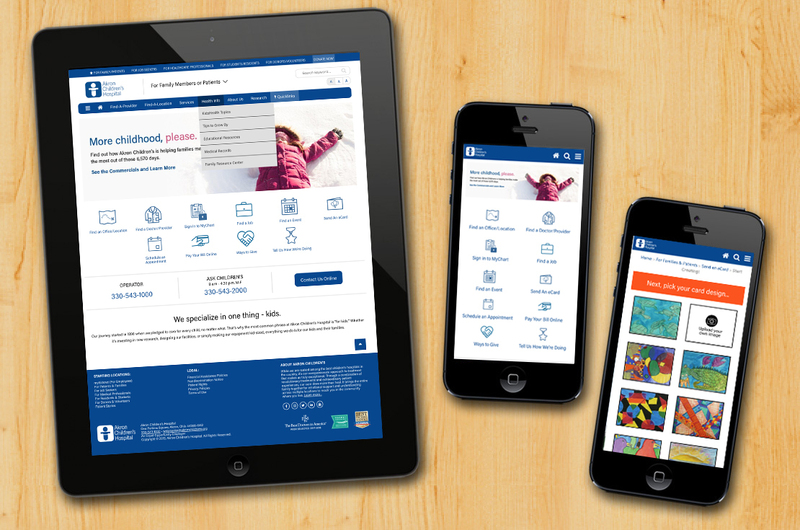 The new & improved Akron Children's Website was redesigned and more tightly integrated content from external sources: videos, blog entries, patient stories, Kidshealth articles and more. This kept the visitor on-site, and offered more information in one place. With many new locations, we needed to make it easier for parents to find the information they needed. We integrated custom maps and tools that allow a user to find locations by keyword, zip code/proximity, by city name and via an interactive map. Akron Children's Hospital is always putting out new videos about doctors, conditions, patient success stories and more. These videos are now pulled directly into the site via channels and each video can also be attached to related pages throughout the site. The new department pages automatically pull in related doctors, videos, conditions treated, research initiatives, patient success stories and more. 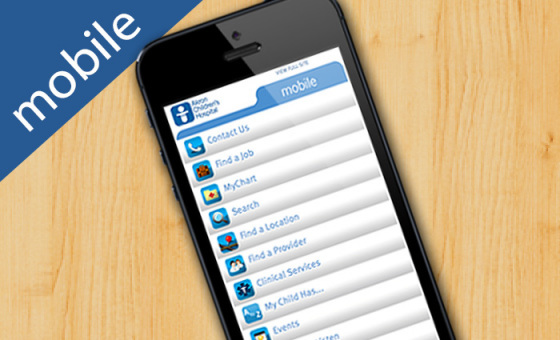 You can access essential child health info in the palm of your hand with Akron Children's mobile app, Care4Kids. It's available for the iPhone and Android devices. In addition to general health and hospital information, you can store your family's medical history, including insurance and provider information, medications, allergies, emergency contacts and more. The health records portion of the app can be password protected and easily shared via Bluetooth technology. 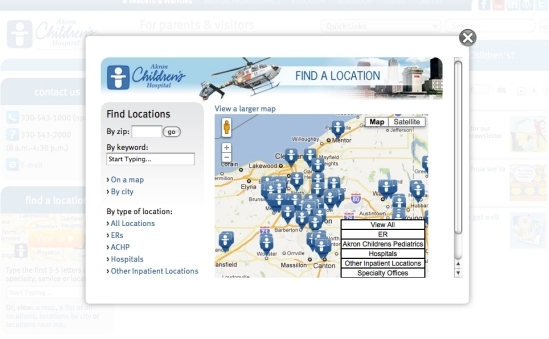 Many of the features on the Akron Children's website have been 'mobilized'. Users visiting the website on a mobile device can search for a provider, find a location, get contact numbers, search the site, and access their myChart tools.